It can be difficult to fight the signs of aging with retinol products without suffering from their side effects, such as sun sensitivity and peeling, but there are alternatives to using retinol, such as its precursor, retinaldehyde. This ingredient, which is a natural form of vitamin A like retinol and retinyl palmitate, is created by the body before being converted to retinol. However, retinaldehyde has been found to be gentler on the skin than other forms of retinol, which may give those with sensitive skin the opportunity to use a retinol-based product without suffering from the side effects that it typically causes. This ingredient may have a number of advantages for individuals who want to use retinol for wrinkle reduction and even for acne treatment. Retinaldehyde is approved for use by the FDA and products that contain it typically do not require a prescription. While retinaldehyde is not as common an ingredient as other retinol forms, there are several products on the market that contain it. 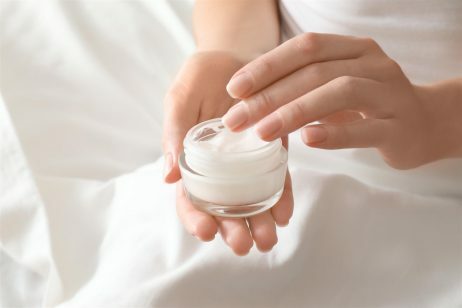 It is most common in anti-aging serums, but it can also be found in products such as eye creams and products that are formulated to rejuvenate the skin overnight. In most cases, the concentration of retinaldehyde in these products is anywhere from 0.05% – 0.1%, as higher concentrations may cause irritation in those with sensitive skin. While retinaldehyde is typically not as potentially irritating as other forms of retinol, it is important that you understand how it may affect your skin in the long term, and who would best benefit from its use. Who Should Use Retinaldehyde Products? Those who would benefit the most from products that contain retinaldehyde are those who have experienced moderate to severe side effects with products that contain pure vitamin A (retinol) or who have thin or sensitive skin. Individuals who are sun sensitive may also benefit from retinaldehyde-based products, as this form of retinol does not cause the kind of sensitivities that other forms of retinol tend to do. Retinaldehyde is also becoming more common in acne products, as retinol has been proven to be effective in helping boost cell turnover, allowing dying and dead skin cells to slough away at a faster rate, which reveals new, healthy skin cells. Some acne products that currently contain retinaldehyde include formulations to fight blackheads, cystic acne, and acne scars. If you have never used a product that contains this ingredient, you may want to consider your skin type and what type of skin care issue you want to treat, as while retinaldehyde is a form of retinol, studies have not conclusively proven that it is as effective as other forms. If you are trying to treat acne-prone skin and want to try a product with retinaldehyde because your skin cannot tolerate pure retinol, you should start out with a product that contains a low concentration until you understand how it might affect it. While it has been proven that retinaldehyde is gentler on the skin than pure vitamin A, it still has the potential to irritate the skin, so beginning a regimen with a product that contains the lowest concentration is always a good idea. As you shop, keep in mind that the biggest drawback of retinaldehyde products is their cost. 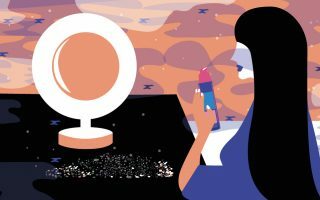 Most products that contain this ingredient tend to be more expensive than most retinoid products, which can be expensive as well, so this is something to consider, especially if you have a limited skin care budget.